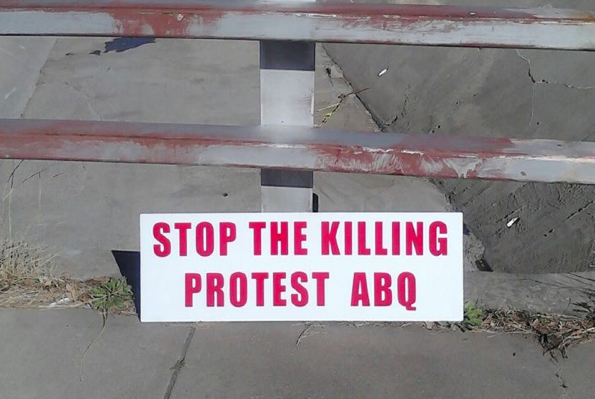 This month was the month of PROTEST as we officially launched PROTEST ABQ. Peaceful and lawful PROTEST has its place in the pro-life movement and this month confirmed that fact in a big way! In fact, our consistent and strategic PROTEST literally moved the UNM abortion clinic UNM Center For Reproductive Health! We are hoping that with enough public exposure of UNM’s pro-abortion agenda and accountability demanded of all of the individuals who are perpetuating this agenda at UNM, we can STOP THE KILLING! Click here to read our latest Newsletter…and to find out how PEACEFUL PROTEST moved an abortion clinic! May God receive the glory in all that we attempt to do for Him. 16th Botched Abortion at Late Term Abortion Clinic In ABQ! 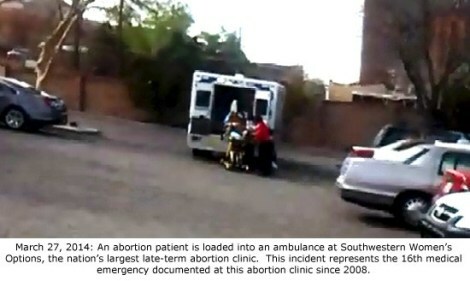 Albuquerque, NM- At 10:15 a.m. on Thursday, March 27th an ambulance arrived at late term abortion mill Southwestern Women’s Options (SWO) and spent 20 minutes inside the clinic before bringing a woman out on a gurney completely covered by a sheet. The woman was rushed to the hospital and her condition is unknown. On February 13, 2014 another woman was rushed to the hospital from SWO. This is the 16th botched abortion that we’ve documented since 2008 at SWO and the 2nd in two months. Women will continue to be injured at this clinic until it is closed in the interest of the public safety. “We are also very concerned about any possibility that these injuries may be related to the Ryan Residency Training Program at the University of New Mexico that allows medical students to perform abortions in a clinical setting, which all 3 Albuquerque abortion clinics are participating in,” stated Fr. 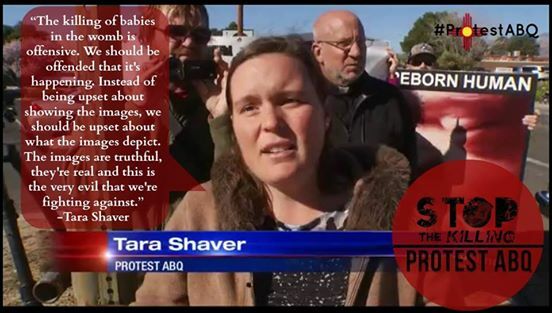 Imbarrato, Founder of Project Defending Life and Protest ABQ. New Mexico abortion clinics are completely unregulated and lack any oversight from state and local authorities which continues to put women’s lives at risk.Since the New Mexico Department of Health and the New Mexico Medical Board refuse to protect unsuspecting women seeking abortions we rely solely upon those who volunteer their time at local abortion clinics to document these injuries. It is long overdue that local and state authorities acknowledge and act on this serious crisis. “Our prayers are with this woman and those like her who will continue to be injured at Southwestern Women’s Options. Those in authority in New Mexico who continue to turn a blind eye to the abortion crisis here in Albuquerque bear direct responsibility due to their inaction,” said Tara Shaver of Project Defending Life.